Want to be featured as a top health IT company? Does your company have what it takes to be included in our “10 Biggest Innovations in Healthcare Technology in 2016”? Send us an email to learn how to be recognized as a global leader in digital health to millions of referralMD readers annually. These technologies are starting to allow healthcare practitioners to offer cheaper, faster and more efficient patient care than ever before, which is certainly a step in the right direction. The healthcare industry has long been overburdened by a slow moving innovation due to the complexity of the medical ecosystem, but due to this technology the industry has finally seen some far reaching changes. Everything from new artificial hearts to electronic aspirin, the healthcare industry is slowly but surely becoming more agile, effective and cost-effective for patients looking for care. The potential to streamline, improve, and perhaps transform the current healthcare system is huge. That’s how microchip modeling clinical trials came into use because there was an open opportunity and a need to innovate on the way clinical trials are conducted. Microchip modeling clinical trials aim to replace the use of animals in clinical trials to more accurately test the safety and efficacy of treatment for human patients and spare the lives of countless animals typically used in testing. These microchips are smaller than a human thumb, can reconstruct the complicated interface between organs and capillaries, which is similar to the idea of microfabrication, the process of making structures on a micrometer scale. By eliminating animal models in certain circumstances, scientists and doctors have been able to reconstruct organs like the human lungs by focusing on the use of complicated systems of microchips to emulate these bodily systems. In many instances, animals pass as adequate human stand in’s but in many cases they do not help drive accurate results on how human’s would be affected by the same procedures, diseases and treatments. Microchips more closely resemble live tissue, cell types and realistic three-dimensional interactions occurring in the human body than do other forms of clinical testing to date. Wearable technology is still in its infancy but has already started to have widespread influence across many industries. Dr. Rafael Grossmann was the very first surgeon to use Google Glass or wearable technology in general while performing a surgery. As wearable technology continues to improve to better meet the needs of its users, healthcare providers continue to hope that its use will impact both the experience of patients and practitioners to better receive and administer care. Dr. Grossmann believes that Google Glass and wearable technology of a similar nature will help improve the way healthcare providers interact with patients and a patient’s relatives, increasing the satisfaction of patients and making doctors and other providers more effective at doing their job because of the added level of communication between parties. He sees this new technology as allowing a doctor to someday interact with a patient, while simultaneously pulling up their medical history using Google Glass. 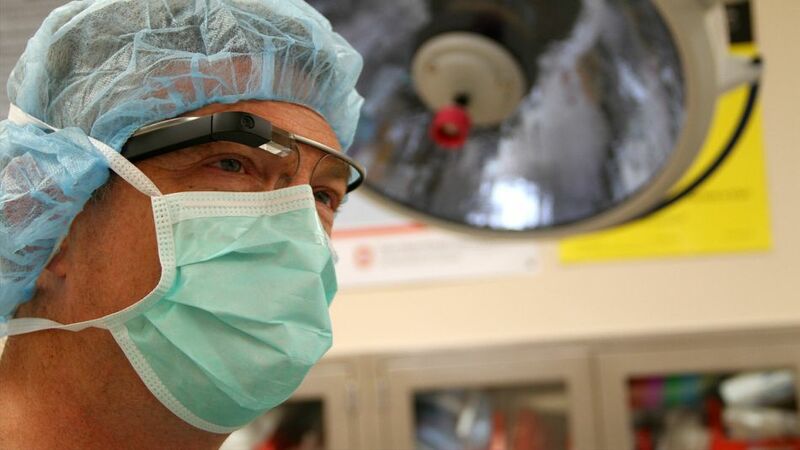 The surgery performed using Google Glass could serve as an example of real-time education for medical students and other professionals alike. There are even telemedicine opportunities with Google Glass as well, allowing doctors and other medical professionals to provide clinical care in certain capacities from a distance. The practice is already in use by doctor’s providing medical advice via the phone or email in many instances across the United States but, it’s the technology that limits how effective this approach can be when it comes to what level of care is able to be administered. This is so important because according to Grossmann, many don’t survive a medical condition or emergency each year because the right patient needs to be at the right place at the right time and this isn’t often the case since up to 30% of the U.S. population doesn’t live near a trauma center if they happen to live a rural area for example. Grossmann has used Apple’s FaceTime to discuss crucial patient crises as well as virtual examinations with patients in various locations across the country, able to severely impact the outcome of their care. He argues that with the continued adoption of wearable tech like Google Glass, more lives will be saved since communication between medical professionals and patients will continue to improve to the next level. There have been many widespread uses of 3D printers today from guns to models of the Empire State building, but the medical uses are extremely practical and overtime could really solve ongoing health issues once it’s figured out how to accurately apply them to people. -Embryonic Stem Cells: These cells have already been successfully printed in a lab and could be one-day use to create tissue that could help test drugs and assist in the growth of new organs. -Printing Skin: There have been many advances in the areas of developing skin to help burn victims and skin disease patients, 3D printers can help further jumpstart these advances with the addition of laser-printed skin cells. -Blood Vessels & Heart Tissue: Organovo is a company that has already successfully printed blood vessels and sheets of cardiac tissue that actually beat along just like a real heart. -Replacing Cartilage & Bone: 3D printers have also helped scientists and doctors create stem cells that could eventually develop into both bone and cartilage in the long-term. -Studying Cancer: Printing cancer cells is a way of growing these cells on tissue in a lab to study, test drugs on and to eventually find a cure for. -Patching a Broken Heart: Printing cells with a 3D printer proves useful in a recent study of rats that had previously suffered heart attacks and were given these patches of cells to help slowly help improve their heart function overtime. -Replacement Organs: Printing new part for organs or entire organs all together will help solve an ongoing medical need and help save hundred of thousands of people every year waiting for an organ donation to come thru. A new technology has jump-started the technique in neuroscience known as optogenetics where neuroscientists target a single neuron in the brain of a mouse merely by turning on a light. This is done by using a light activated gene and inserting it into the genome of a mouse to be able to easily identify when the particular neuron is firing in the brain. Optogenetics is a hot topic amongst the medical community today, surrounded by both praise and criticism. Its purpose is to control a brain’s activity with light. This could have far reaching benefits with humans to help better understand the complex network of neurons that make up the brain. A stronger understanding could help humans better grasp how we create thoughts, emotions and behaviors. Identifying these neurons may sometime help people detect flaws or deformities in the various neurons in the brain that cause devastating mental disorders like schizophrenia, Parkinson’s and depression. By controlling the activity of specific neurons, neuroscientists will begin to learn how each type of neuron contributes to the overall functions of the brain. Time will tell as to whether this approach is effective, but nevertheless, the study of the human brain using light will help neuroscientists on the path to better understanding the neurons and how they work across this complex organ. With the addition of new technology, comes the integration with established technology and systems that either needs to be replace completely or connected with to improve their performance or build upon the brand new technology’s use. This is a difficult task for healthcare professionals due to the complexities of the systems, technologies and operations currently in place at all healthcare facilities, hence why this industry is often the slowest moving when it comes to impactful change. A hybrid operation room is a new innovation where a traditional OR is outfitted with advanced medical technology to improve the care delivered to patients and enhances the skill-sets of medical practitioners when it comes to administering treatment. The Lakeland Regional Media Center is an example of a hybrid operating room, one of the first in its area, but definitely an indicator of more widespread changes to come to operating rooms around the country innovating on existing processes and technologies with traditional surgical procedures and treatment options. Technologies used in hybrid operating rooms have typically helped reduce trauma, scarring, spurred faster rehabilitation and has helped decrease hospital stays. The technologies used at the LRMC that helped improve a patient’s experience at a hospital included advanced imaging technologies that allowed for real-time intra-operative image guidance, as well as tools to help perform high-risk minimally invasive cardiac procedures. Approved in 2011, digestible sensors will continue to provide healthcare professionals with more information about the human body and how various treatment solutions affect each system of organs. A digestible sensor is a sensor that transmits information about a patient to medical professionals to help them customize the care to the individual as well as the care provided to other individuals experiencing similar health conditions or ailments. This technology would eventually allow an individual to swallow a pill provided by their doctor and skip their physical because the digestible sensors, that look like regular pills, could perform all the same functions a doctor typically handles in a standard physical and then some. Digestible sensors will monitor your bodily systems and wirelessly transmit what’s happening in your body to another device like your smartphone or computer for your own review or the review of your doctor. Latest innovations with digestible sensors don’t even require a battery source since they solely rely on the human body as an energy. An innovation of this nature could have far reaching effects for healthcare by helping detect diseases and conditions at earlier stages in people digesting these sensors that are in turn, constantly monitored wirelessly. For more healthcare innovations of 2013, here’s an infographic on these developments and others that drastically impact the future of healthcare for patients and professionals alike, originally from Medical Future. 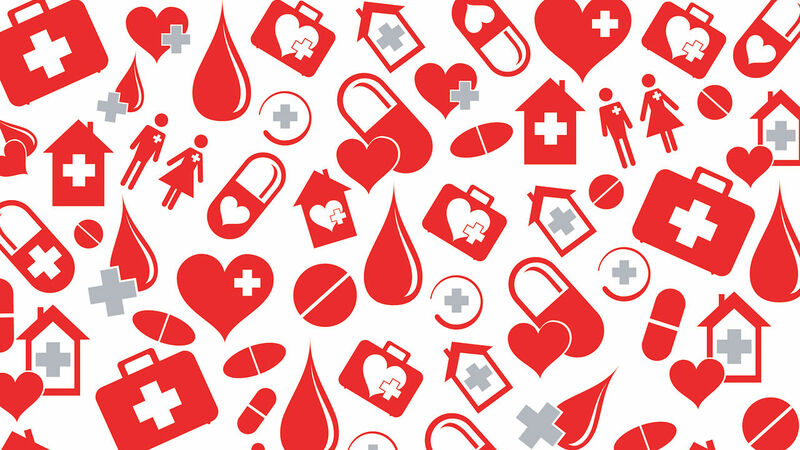 Communication may seem like an easy technology to develop for the healthcare industry, but it has been nothing but problematic for decades costing over $250 billion to process over 30 billion transactions annually. From referrals, progress updates, and insurance authorizations; these types of communications result in huge amounts of money and time being wasted and a liability to every healthcare provider. Patients are stuck in the middle as doctors still communicate with antiquated systems (ex. the fax machine) delaying critical care. As many as 50 percent of referrals are not received by the specialty care provider causing patients to miss treatment and healthcare providers to lose money. Companies like referralMD are changing the way healthcare professionals market themselves to patients along with providing doctors with a robust referral management platform to communicate between specialties. Images courtesy of Fast Company, Mashable, Ye Tan on Flickr, MITvideo, LRMC and Nature.com.